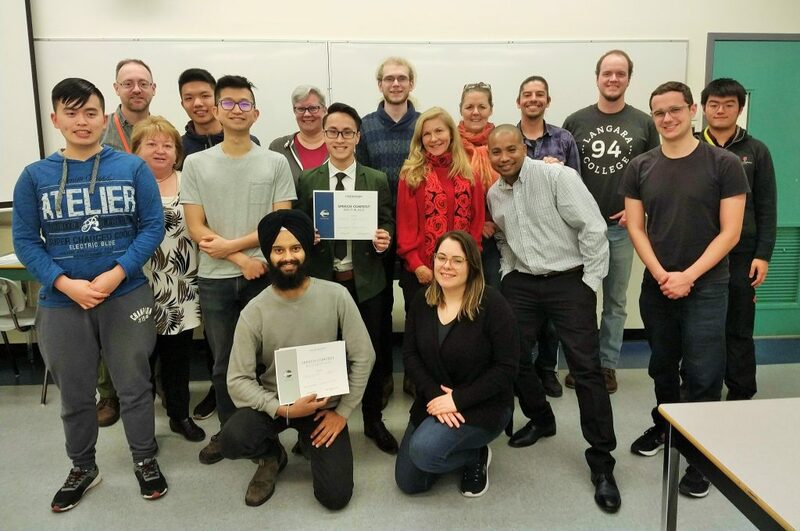 This week, the Langara Toastmasters Club hosted its first International Speech Contest! 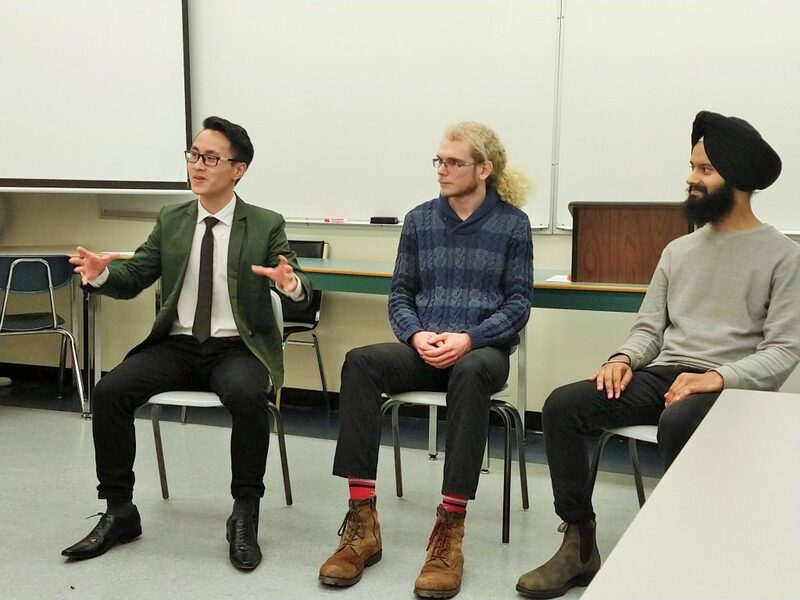 The three contestants, Baljeet Singh, Andy Nguyen, and Alex Fraser, presented wonderful and inspiring speeches. 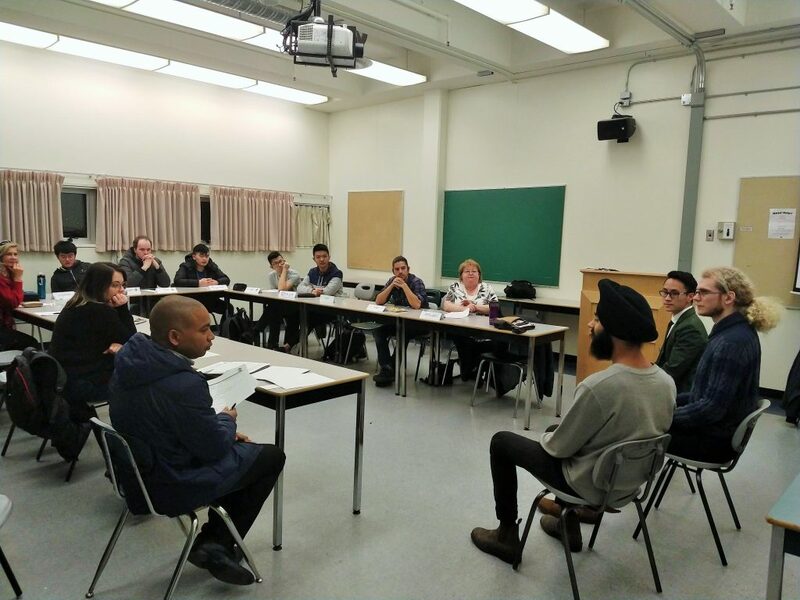 The first speaker Baljeet talked about gratitude and shared great personal stories. Next up was Andy, who spoke about “killing your monsters” and gave inspiring advice for seeking your dreams and goals. The third speaker Alex talked about how life can be similar to the ocean and a sea of possibilities. 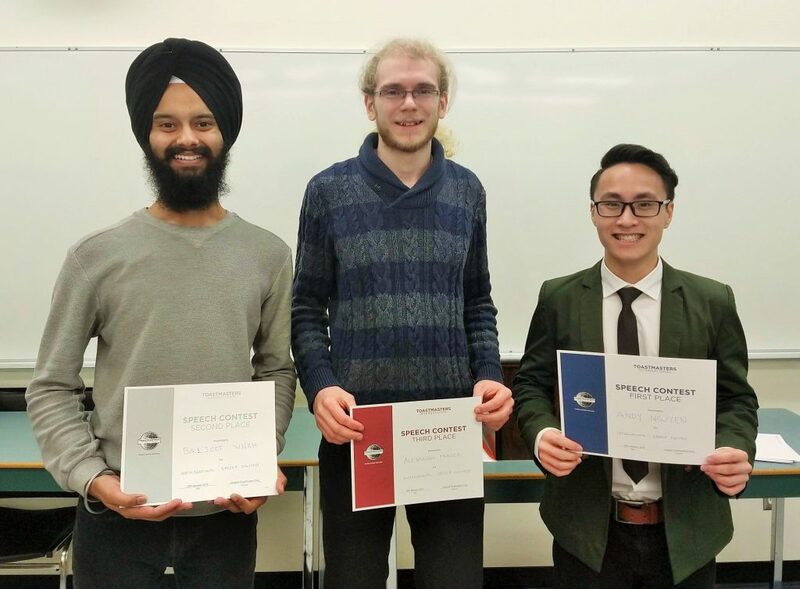 Congratulations to all three speakers! Very well done! After a tight vote, Alex was in third place, Baljeet in second and Andy in the first place. 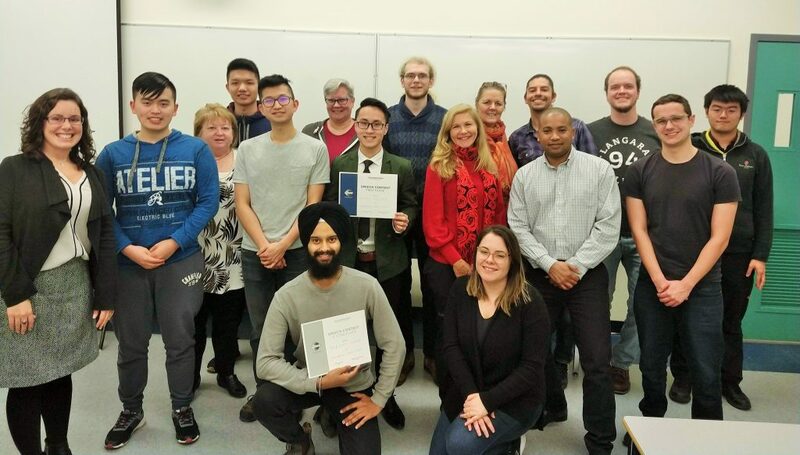 The winner will represent the Langara Toastmasters Club at the Area Speech Contest on February 25. Good luck Andy!